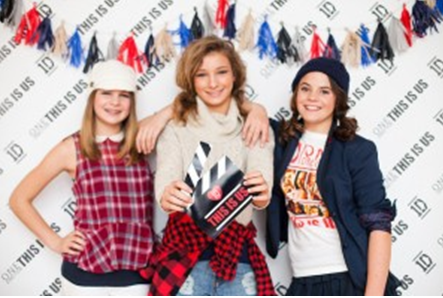 Enjoy Family Fun Night – One Direction Infection at the Temecula Amphitheater on Wednesday, July 18th at 6:30 p.m. Attendees are invited to celebrate the popular boy band with dancing, games and prizes prior to the movie showing which will begin at dusk. The event is free to attend. For more information, please visit temeculaevents.org. 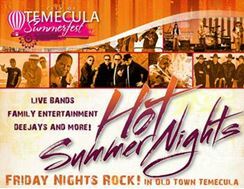 The City of Temecula will host its yearly 4th of July Extravaganza and Fireworks event on Friday, July 4th from 2 p.m. to 10 p.m. at the Ronald Reagan Sports Park. Perfect for the entire family, enjoy food, live entertainment and an array of activities for the kids. The fireworks show will begin at 9 p.m. and will be accompanied by patriotic music. For additional information on the event, please visit eventstemecula.com. The Temecula Valley Foundation for Excellence in Education will host the 4th Annual Taste of Temecula Valley on Saturday, April 26th at Town Square Park. Spend the day sampling the finest wines, microbrews and foods that the local area has to offer while listening to live entertainment. Admission is $10 for ages 13 and up and is free for children 12 and under. Guests will receive a commemorative wine glass with each paid admission. The event will support education enrichment programs for students in kindergarten through twelfth grade. For more information on this event, please visit tvfee.org. Gather your friends together for an evening of live entertainment at Europa Village’s Friday Night “LIVE” event on Friday, March 21st from 5:30 p.m. – 8:30 p.m. The event will feature live music from the duo, Mike and Debbie Sierras who have the versatility to perform anything from soft ballads to hard rock. The event is free and open to the public. Food and drink is available for purchase. For additional information, please visit europavillage.com. Temecul a Valley Convention and Visitors Bureau and the Temecula Valley Chamber of Commerce have announced January as Temecula Valley Restaurant Month. Throughout the month locals and visitors are invited to indulge in specialty menus from participating restaurants throughout the area. For a full list of participating restaurants and additional information, please visit restaurantmonth.org.